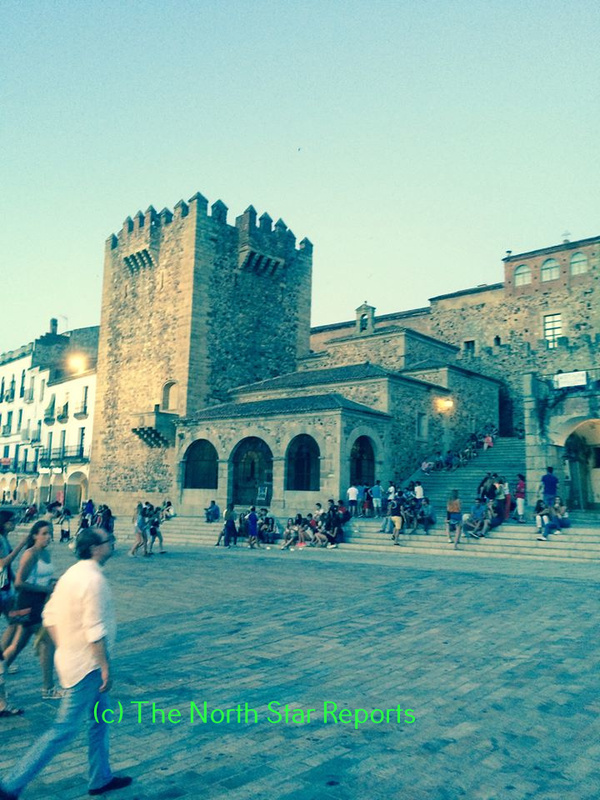 This past summer I had the opportunity to travel to Spain for a month and live with a family. 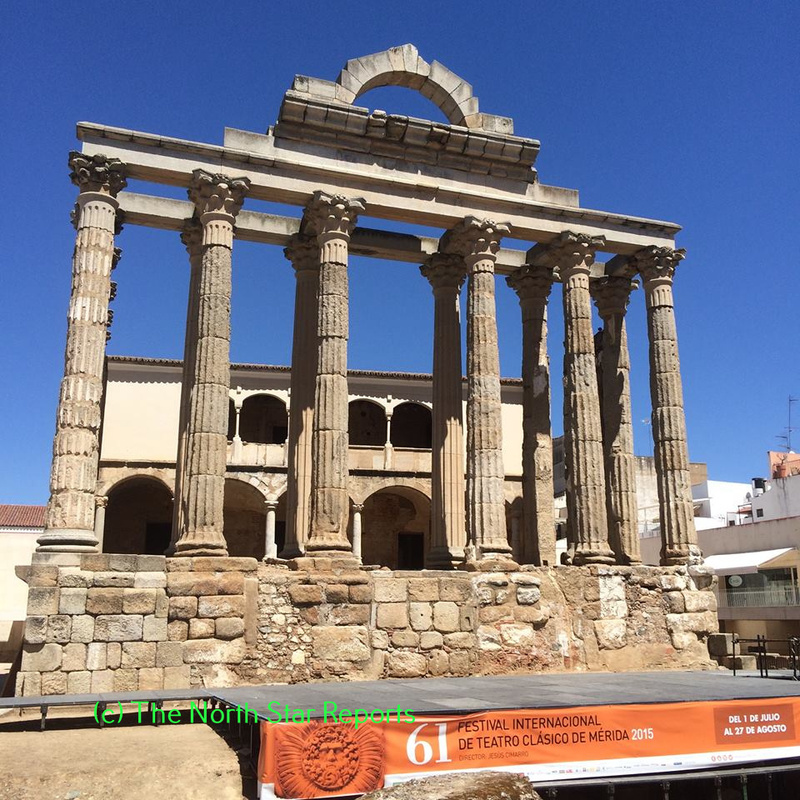 I stayed in a small town called Montijo in the western region of Extremadura, about twenty minutes from the Portuguese border. While there I was immersed in Spanish culture, from their seafood heavy diet to the daily siesta. Another prominent characteristic of Spain is the presence of varying regional cultures throughout the country. This has caused problems both historically and recently. There has been and continues to be contention between the North and the South of Spain. Montijo is in the Southern part, home of flamenco and bullfighting. In the South, they are proud of their Spanish heritage and Spain as a country. In the North, most notably the region of Catalonia, they identify as Catalan instead of Spanish. They have a separate language and way of life. Since Catalonia’s integration into the Spanish kingdom in the 15th century, they’ve had a rocky relationship with the rest of Spain. During the 20th century, under the rule of Francisco Franco, the Catalan language was outlawed and the Catalan people, who fought against Franco during the civil war, faced persecution at the hands of the dictator. After his death, Spain became a democracy and Catalonia began to rebuild their regional identity. Their relationship with the central government of Spain, however, has remained tense. One of the most noticeable cases of regional rivalry is in Spanish football (soccer) clubs. The largest rivalry is between Real Madrid and FC Barcelona. 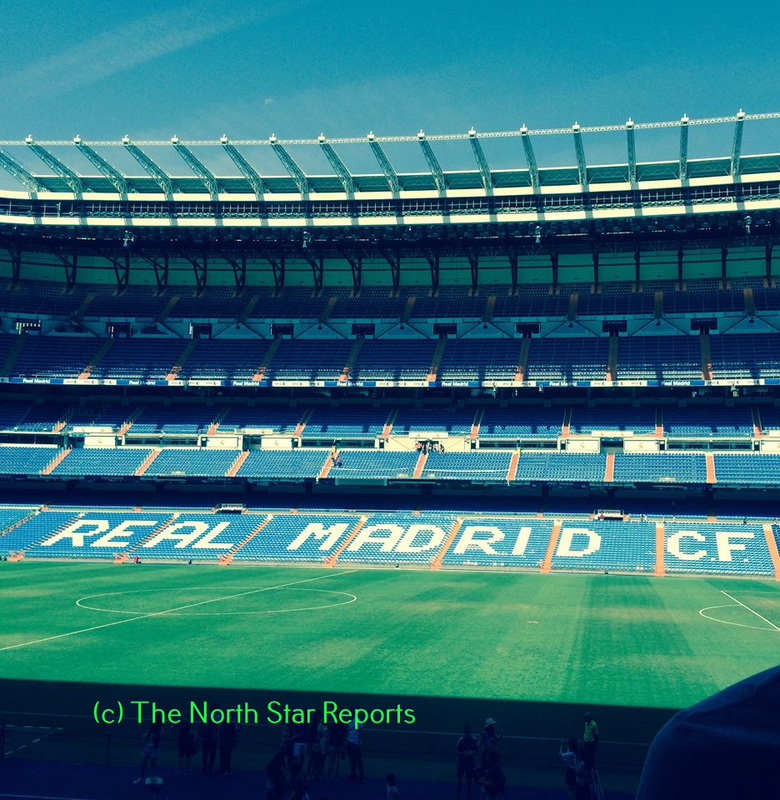 Real Madrid is based in the capital city and is seen to represent Spanish nationalists. FC Barcelona is based in the largest city in Catalonia and is supported by Catalans. The rivalry between the the teams is one of the largest rivalries in sports. Each year millions of Spaniards and people around the globe look forward to when these two teams face off during the season, referred to as El Clasico. Many people see the teams as representatives of the regions they come from and are a source of regional pride when they are performing well. Recently, the region of Catalonia held a parliamentary election, which resulted in a win for a pro-Catalan independence party. This has led to speculation as to whether or not the Catalonia region will seek independence from Spain and to what extent the national government would be willing to work with them. One of their main reasons for wanting to leave is economic. Catalonia is economically more prosperous than the rest of Spain and many Catalans feel as if they don’t receive as much as they pay in. Paradoxically, one of the main reasons to remain with Spain for Catalonia is also economic. Being part of Spain, Catalonia uses the Euro. If they were to become their own country, they would need to be recognized by the EU to be able to use the Euro. If they leave without the central government of Spain being on board, it’s within reason to believe the EU would not recognize them as a country. This would lead to them needing to adopt a new currency, having immediate negative effects on their economy as the currency regulates itself. While in Spain, the topic of contention between the North and the South came up quite frequently. There was even a successful Spanish rom-com I watched one of my first nights there about a couple overcoming their differences as a Sevillano (southern Spain) and a Basque (northern Spain) to end up together. The family I stayed with was also quite vocal about their distaste for the North. Often times they claimed that northern Spain is not real Spain, since they have a different language and different customs. This feeling is not a unique feature of the family I was staying with, but rather quite common throughout the region. Whether or not the Catalans decide to leave Spain, Catalonia will always be a region with a unique and distinct culture and history. It is interesting that there remains such a large separation/rivalry between the North and South of Spain. I feel often times in the United States there are recognizable differences between the Northern and Southern states, however, I could not imagine our country being divided by two different languages (in the U.S. many languages are spoken, but there seems to be s necessity to understand English here). Do you feel that the Spanish football clubs are a healthy means for each side to express their rivalry? Was the sport meant to be in good fun, or did you find the sports to cause more impassioned negative feelings? I have read just a little bit of information about this conflict, but hearing your point of view from your experience gives a clearer picture of what is going on. I was not aware of the currency situation coinciding with the proposed separation of the North and South. It seems like quite a large issue that could make or break the decision. I will have to keep up with the news of this to see what happens! Only those from Catalonia identify as Catalonians. People from the autonomous communities in the North of Spain do typically identify more strongly to their region than to the nation but there are many different regions and they each have their own unique cultures, i.e. los Gallegos from Galicia, los Vascos from the Basque country and los Catalanes from Catalonia, but I fear generalization draws away from their respective cultures and histories and only better fuels the (very) heated North v. South sentiment. You mention the movie (I’m assuming Ocho apellidos vascos) in which a woman from the Basque country is being courted by a Sevillano, and the negative sentiments your host families shared with you about the North and I think that’s an interesting point as I’m wondering if they group all northerners as one big independence seeking entity or if they identified the different groups and their regions and histories? Do you think the the Catalan region is likely to secede? It seems as though they want to, but want often does not correlate with what actually happens. The risk of not having a stable currency is a huge risk in a region where they are so economically properous. Thanks for the insight into the separation of Catalonia and Spain. I was aware there was some tension, but that was all I heard. Knowing how important soccer is to many European countries, are you familiar with any violence occurring during El Clasico? Or do the games tend to be pretty civil? There sure seems to be a lot going on in this region. That’s an interesting circumstance for the economy of Catalonia as well. Also, I’ve heard of both soccer teams, but I never knew the regional and ethnic consistency of the teams. Really interesting! Well written article! Kat, you made some wonderful points as well. Overall, for those of us that may not know as much about the consistent battle happening in what seems worlds apart it is extremely informative. Thank you! It must feel very odd to be living in an area where you feel like you are not a part of the whole country itself. That being said, I also wonder if there is a way to pull apart and create a new currency without losing their economic advancements. Do you think if they did leave then the rest of Spain would perhaps do better economically, turning the tables? This seems like a very complex national and regional identity issue. I feel that there are many different places that these tensions occur (The Canadian/Quebec, English/French argument comes to mind as does Ireland/North Ireland). I find it interesting that even though we don’t have an official language we seem to believe that everyone ought to speak English in the United States, perhaps if Spain became a nation with two official languages it would help ease the conflict. This is definitely something I will look into more, thank you for your informative piece! I know Spain is quite a bit smaller than the US, so it is interesting to here about the cultural differences through out the country. I also knew that Catalonia wanted to break off from the rest of Spain, but I didn’t know the rivalry is so intense between the north and the south. I had always supported the Catalonia break off but I didn’t realize that money was also holding Catalonia from doing so. Thank you for the insight I enjoyed reading this! Jeez, that seems like such a severe rivalry for living within the same confined borders and belong to the same political, economic, and social structures. It’s almost surprising that this issue hasn’t had more prominent and negative impacts on Spain, but then again, maybe it seems like a bigger deal than it actually is. I wonder if that could be compared to the (seemingly few) American southerners who are still upset about the outcome of the Civil War. While the U.S. seems united in nearly all fundamental ways, I think with a big enough population, there will always be disputes and disagreements. It also threw me off to read that Catalonia plays a large role in the economic wellbeing of Spain, but Spain’s valuable currency is necessary to maintain Catalonia; they need each other to survive. The argument over the language is causing a deep regional divide. Both sides pushing for their own language to be the national one based off of their individual regional identity. The two official language system could ease tension but at the same time that would cause communication issues because that could create a deeper rift in the barriers between both sides. Very informative piece! Always nice to see something from this part of the world that deals with the domestic, especially when we can relate it in part to our own regional domestic instance. It’s always interesting to learn about politics and culture in different countries. What really stuck out was how the cultures are so different even though they are still pretty close to each other when it comes to location. whenever there are multiple cultures in one country people tend to associate bad connotations for each other causing bitter rivalries, which you brought up with the football clubs. It was nice to get some background on the areas before the article went into the political aspect. Have there been any major physical altercations when it comes to the rivalry?Great Article! It is sad to know that both sides seem to have an intense dislike for the other. When I look at Spain, I see a country that has such a diverse culture, that it makes it a great place to visit. When you brought up the major rivalry between the two sport teams, I automatically thought of the rivalry between the Vikings and the Packers. I don’t know much about sports, but it seems like the only way for the two groups to be able to vent out their feelings without going to much into politics and trouble. I remember studying Spain in high school courses and nice to hear an update on what is happening in Spain. What a great experience! It’s interesting that there are so many differences within a relatively small area. Will Spain allow them to leave if they voted to? It would be interesting to see how the new country would handle things like monetary systems and foreign relation policies. I know in Scotland, they are expressing desire to break away from the U.K., but it wouldn’t be too much of a worry economically speaking since they already have their own bank and printed currency (where it’s sometimes not accepted in England). It’ll be interesting to see what’ll happen with areas that are wishing to form their own independent country in the future! This goes to show that official borders are often unanimously agreed or, in some cases, recognized. I’ve always been fascinated with the Basque Country on the border of France and Spain. I learned about them in junior high and was initially stunned that there would ever be people wanting to break away from the country they are already apart of. As Cheylemme mentioned above, there are many examples to pull from. I think it is safe to say almost all the countries in the world have groups who would prefer their independence. Sports and rivalries can be integral to one’s identity and familial traditions. In a relatively small area it’s a perfect example of the variance in experience. But a desire to break-away adds an additional twist to the situation. Thanks for sharing! Spain sounds like a great experience, getting to learn their culture and taste the food. The separation between northern and southern Spain was something I had never heard of before. The way you described it kept reminding me of the civil war in the United States where the south wanted to leave due to economic differences. Having two very separate cultures under one border I feel will always cause problems or discourse to some extent. Although there is clearly large amounts of conflict within the area, I’m very serious about your experience. Did you get to see much bull fighting? Considering you were in the capital of the “sport!” It would be so interesting to see a sport in the area it was originated! You make a great point on how historical relationships effect current politics. That people in Spain view Catalonians as not Spanish is an interesting indicator of how different they really are from Spain. This could lead to a more easy separation if the average Spaniard does not consider them Spanish. These kinds of independence movements are common all over the world and are seemingly on the rise recently. This is a fun and interesting movement to watch as you have so nicely described! Thank you for sharing your experience in Spain. This tension between the North and South of Spain is something I was completely unaware of. I am not surprised that Francisco Franco outlawed the Catalan language, because that is a very powerful tactic used to control people’s identity. I do wonder how this will all play out if/when the Catalan region separates from Spain. Especially since there are likely some people who live within the Catalan region who identify as Spanish. What an awesome perspective. As with the united states, long standing historical relationships and conflicts can greatly impact current political decisions/policies. Selective short term and long term memory seems to effect nearly all. The contrast/combination of sports add an interesting dynamic to the entire deal. Thanks for sharing. Spain is one of the countries I would like to travel to, because one of my friends went one summer and said it was “simply amazing and wanted to go back right away.” Before that, I didn’t realize the rivalry between the North and the South. This explains why it is a big deal whenever the two futbol clubs face each other, that I finally realized. With the rivalry having so much history, this must make for some extremely exciting soccer matches. I have traveled to Spain and visited Barcelona and Madrid. In both of those cities, I saw some aspects of which this article was referring too. For example, one of my friends who I was traveling with was a huge fan of the Barcelona Futbol team and wore the Barcelona Jersey to the city of Madrid just to see what would happen. We all noticed he was getting specific dirty looks from people there. In America, I don’t think we quite understand how important that sport is to them and the rivalry/competition of it all. So to us, it seems silly to treat someone differently because of the team they like, but once you cross territories in Spain it becomes a real thing.